Wilderness Manor is an elegant and refined guest house overlooking the beautiful Wilderness Lagoon in the scenic village of Wilderness. Step out of the front door and cross the road onto the boardwalk for an easy and safe stroll to golden beaches, restaurants and village shops. This exquisitely decorated home has an ambience of tranquillity, style and luxury. Relax in the spacious guest lounge or reading lounge decorated in an African colonial style with oriental rugs, art and antiques. Enjoy superb views from the balconies overlooking the lagoon. Retire to the serenity of four stylish en-suite bedrooms: three luxury and spacious lagoon facing rooms on the second floor with breathtaking views of the lagoon and one garden room on the ground floor with a private garden and patio. Wilderness Manor is centrally located to explore the lakes area and nearby Garden Route towns like Knysna, Plettenberg Bay and Mossel Bay, as well as Oudtshoorn in the Klein Karoo. A three or four night stay is ideal to explore the Garden Route. A short distance east of George along the Garden Route coastline, one will find the seaside village of Wilderness. 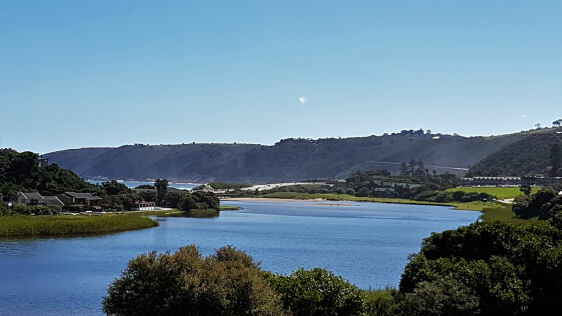 Set between the Kaaimans River and the Goukamma Nature Reserve, and nestled between the Outeniqua Mountains and the warm waters of the Indian Ocean, Wilderness’ surroundings are breathtakingly beautiful. Renowned for its spectacular beauty and long stretches of golden beaches, Wilderness has become an internationally sought-after holiday destination. Wilderness is surrounded by many rivers and natural lakes, making it a great spot for water sport enthusiasts. Wilderness is home to many types of wildlife, in particular birds. Many types of water birds breed here, making it an ideal destination for bird watchers. Wilderness is an eco-tourist’s paradise with nature showing off its best.